First of all Afro Hair Surgery is becoming very popular. A simple process of transplanting hair from a donor sight to where it is required. Methods include FUT (follicular unit transplant) and FUE (follicular unit extraction). Both Afro Caribbean men and women are able to undertake Afro hair surgery if suitable. If you would like to know more about Afro hair surgery then give us a call, write to us or come along for a consultation. We can answer any questions you may have and confirm your suitability. In addition we offer eyebrow and beard surgery. Maybe you are considering one of these procedures? Similarly you may have visited other clinics and want a comparison. Why not arrange a free consultation. We can answer any questions you have and perhaps put your mind at rest. We hope that you will consider us when choosing a clinic to help you. Finally we must establish of you are suitable. We have hair and scalp specialists (trichologists) on hand to speak to you right now. Hope to hear from you soon. Thank you. You will be invited to attend the Holborn Clinic at a suitable time where you will be seen by a qualified Trichologist. This first step is to ensure you are suitable. A full scalp examination will take place in order to ensure there are no underlying skin conditions that could hinder the transplant. In addition confirm the reason why the hair has shed and whether there are non surgical options. The consultation takes around 30 minutes albeit we don’t have time limits. A 36 year old female who suffered from traction loss. The image to the left shows before. The image to the right was 12 months after the hair transplant. A total of 2200 grafts were used in this case. We will advise you of the cost for your individual Afro Hair surgery case at consultation. Please note we don’t charge per graft. We charge for what is required to complete the job. The actual number can only be confirmed once the surgeon has created the incisions. This is prevent any additional charges on the day which does happen when paying per graft. Prices range from £3000-£6000 depending on the size of the transplant. Type of hair shedding is a main concern. Hair loss in women when discussing a permanent state of loss differs from that of a male pattern in most cases. Of course there are many temporary hair loss conditions that affect women. In such cases the hair loss will grow back. Treatment of course may be required but in this instance Afro hair surgery would not be suitable. Quite possibly the most obvious case for surgery. A simple and permanent solution for the lost hair caused by traction alopecia. Contrary to belief, traction loss cannot be regenerated. If there are no hair follicles then hair cannot grow. Therefore the only way to have that perfect hair line that you have lost is to have it transplanted. You can choose the hair line you want as well. Afro Hair Surgery FUE or FUT? Most Afro men will have very short hair. hence this would exclude FUT (follicular unit transplantation) transplant’s as there will be a visible scar which will show in very short hair styles. FUE (follicular unit extraction) is the only real method to avoid obvious scarring. We find most women prefer the FUT procedure. 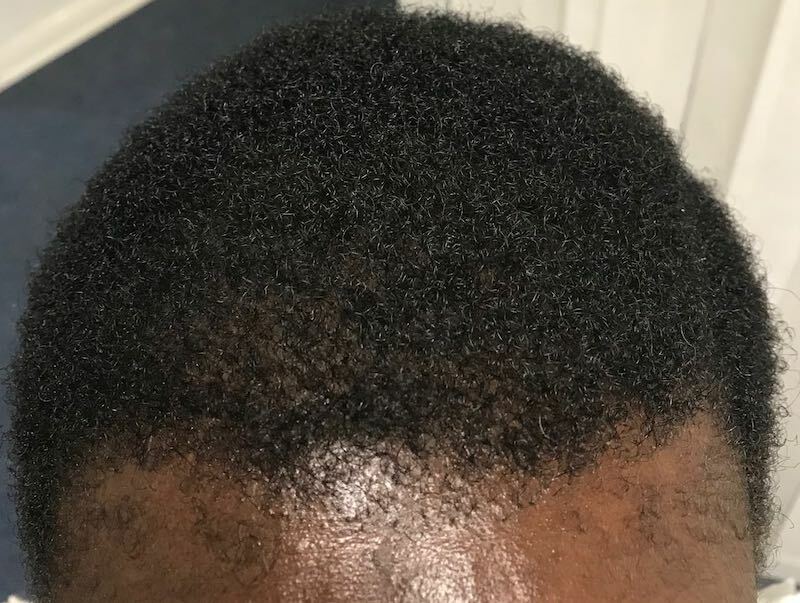 Patients may have medical conditions such as high blood Pressure, HIV, Hep B, Alopecia Areata and a list of other conditions that may prevent a patient being suitable for an Afro Hair Transplant. There must be sufficient donor hair. There should be sufficient hair grafts to be able to take what is needed and leave a good amount of hair to leave the donor site looking totally natural. 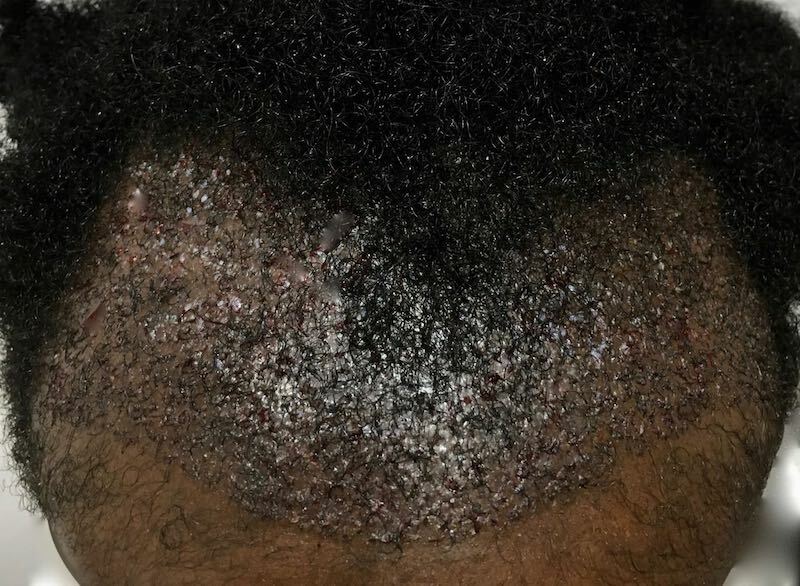 Underlying skin conditions may be an issue when considering Afro hair surgery. Scarring may result. Consideration is taken when considering the risk of scarring Keloids. Risk of future Hair Loss? Female or male pattern baldness is likely to cause further loss and must be taken into consideration. There are medications that can slow down and in some cases stop future hair loss.